Isabelle “Issy” Mann Besserud, 93, passed away peacefully July 3, 2018, in Casper Wyoming. A memorial service will be held at 1:00 PM on Thursday, July 12, 2018, at Buehler-Larson Funeral Home, Mandan, with Deacon Bob Wingenbach presiding. Burial will be at Mandan Union Cemetery. Visitation will be held one hour prior to the service at Buehler-Larson Funeral Home. Isabelle was born June 27, 1925, in St. Anthony, ND to John Mann and Elizabeth (Klein) Mann, the second of 10 children. She attended St. Anthony grade school through the 8th grade. She worked on the farm side-by-side with her father until 1949 when she began working at Kleins Jack & Jill in Center, ND until 1966. Issy married Chet Besserud in 1966. She has resided in Casper, Wyoming, since 1971. Issy was a loving mom and grandmother to the Besserud family. As a sister and aunt—she was generous of heart, remembering birthdays and Christmases with special treats. Issy was an avid reader, a good listener, and had a strong will and feisty spirit. 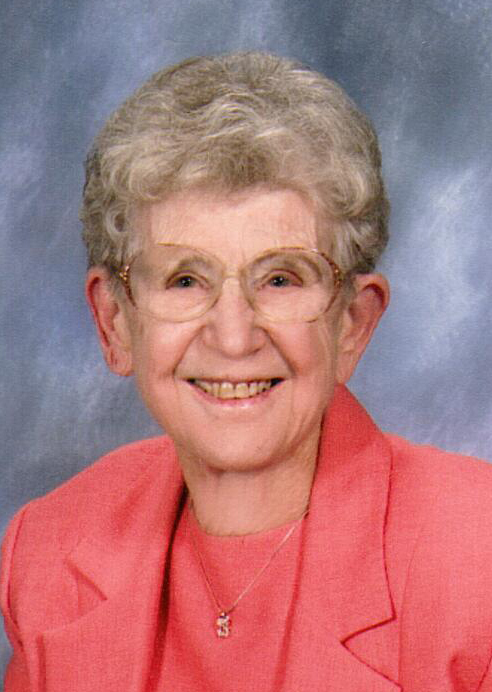 She loved her church family in Casper churches, and her caregivers were held dear to her. Issy loved cats, dogs, squirrels, and the little things in life. Issy is survived by three sisters, Mary Mann, Mandan, Carola Sirucek, MT, Ann Grannan, IA; one brother, Jim (Diane) Mann, MN; sister-in-law, Fran Mann, Bismarck; stepchildren, Sherri Gefroh, Vicki Reiger, and Bob Besserud, all from Minot, and Jim Besserud, FL; five step-grandchildren; six great-grandchildren; five great-great-grandchildren, and many cherished nieces, nephews, and cousins. Issy was preceded in death by her parents, John and Lizzy; husband, Chet; siblings, Raymond, Bob, and Chuck Mann, Agnes Fowler, and Clara Sorensen; sister-in-law, Nancy Mann; and her pets Cindy and Nicki. Because of her love for animals, memorials may be sent to Central Dakota Humane Society.